Wow! Wow...oh...wow...oh...wow!!! Do not expect the expected with this one. I knew that this book was going to be more intriguing but I didn't expect a little mystery to be a much bigger mystery. 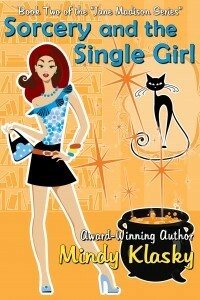 So much so that I had a really hard time putting down Sorcery and the Single Girl by Mindy Klasky. 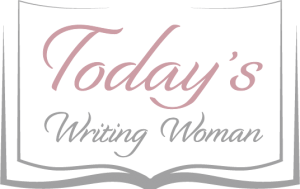 Jane is back again, but this time things are bit more complicated. The I.B. is gone, but a new mystery man named Graeme has shown up. The Washington Coven has just summon Jane and Neko has been on the prowl and brought home a new playmate named Jacques who happens to be one of the men Melissa has dated. Grandma and Clara are worried about Jane. Jane is besotted with Graeme and Melissa is feeling a bit left out. Neko is being...well...he's being Neko. All is not well though because Jane has been requested to do something very, very important for the coven. If she is not successful, she'll lose everything. And where is David, Jane's trusty warder, you might ask? He's doing his darndest to protect her, keep her focused and prepare her for the biggest magical challenge she'll have faced so far. In the meantime, someone or something is sending out messages and this is where the mystery comes in. Believe me when I tell you I was on the edge of my seat trying to figure this one out. It took awhile and was delightfully surprised at the end when I realized that I didn't have the whole thing solved.